Hey all, I wanted to welcome my dear friend, Jess Patch here today. 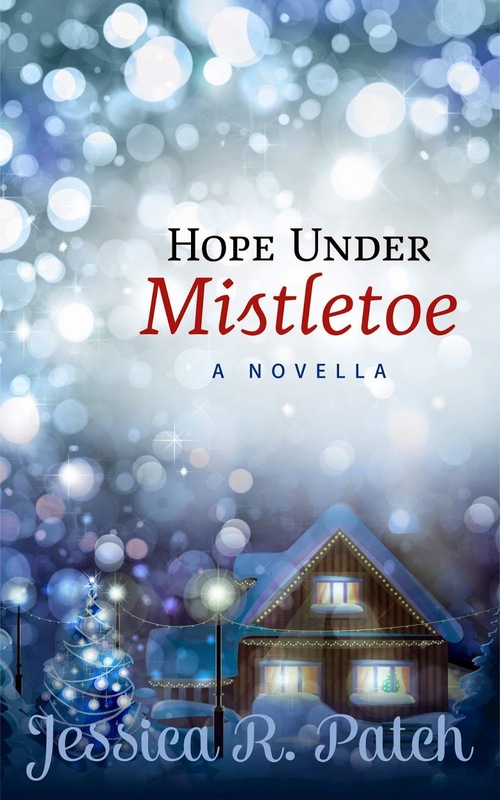 She's taking the floor with a devotion and a glimpse at her new Christmas Novella, Hope Under Mistletoe. Oh, and she's even giving it away for free! So keep reading to get to know Jess, her heart, and her sweet and sassy Christmas novella. Today, I want to talk about thinking outside the box. Doing things differently. Eden scanned the room. Walnut tables. Shiny hardwood flooring and walls. An old-fashioned juke box in the corner. The awkward silence grew deafening. “What’s back there?” She pointed to the archway beside the bathrooms. “Game room. Pool tables…air hockey.” He crunched into the peppermint. Knox’s grin faded. “Yeah.” Longing filled his eyes. He’d come home six years earlier when his mother had taken ill with cancer, bought this old building and remodeled it himself. “How big is it?” This place was huge. “I’m not asking to hand out tracts on Saturday nights. We need a place.” And if a few patrons heard the Good News, so be it. Maybe Pop would come back to church—if they brought church to him. We’re instructed to go out and be the hands and feet of Christ. As the body of Christ. I think sometimes we tend to get set in our ways, and while the Gospel and message of truth remain the same, our approach at times need to change. I’m not talking about gimmicks or marketing the church. I’m not for that at all. I’m talking about finding new ways to cultivate relationships with people. Instead of expecting them to simply come to us. I’m talking about going to them and building relationships. Showing them through actions that Christ loves everyone. This is what happens when Eden and the new pastor of the church think outside the box. The bar won’t come to them. So they go to the bar. Not to Bible thump. Not to preach hell and damnation. They go and hold their services, serve the community, and hold Bible studies. What happens inside that bar? Well, you’ll have to read the novella. But I can tell you that living a life devoted to God, showing compassion and love without any judgment brings hope and while not every person may slip into the back room and cling to the life, some will. And you don’t need to feel as if you’ve labored in vain. You never know when you’re sowing seeds or watering them. But you have to think outside the box. Miracles can happen! How has someone shown you the love of Jesus with their simple actions? Jessica R. Patch writes inspirational romantic suspense and contemporary romance. A passion to draw women into intimacy with God keeps her motivated, along with ice-cold Perrier and adventurous trips in the name of research. 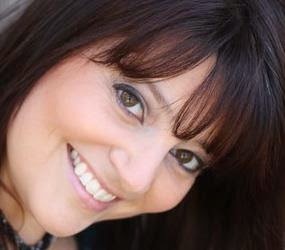 When she’s not hunched over her laptop or teaching the new & growing believer's class at her church, you can find her sneaking off to movies with her husband, embarrassing her daughter in unique ways, dominating her son at board games, and collecting recipes to wonderful dishes she'll probably never cook. She is represented by Rachel Kent of Books & Such Literary Management. Connect with Jessica on FACEBOOK, TWITTER, PINTEREST, and her WEBSITE. Love the excerpts! If there are hockey references, I'm in. Thanks for sharing! And I signed up for the newsletter, too. A few hockey references! Thanks so much for joining the newsletter, Tom. Hope you had a wonderful Thanksgiving. You'll love it, Tom!! Both the book and her newsletter! Congratulations, Jessica! I'm so loving all these Christmas stories! We have a friend who works as a waiter in order to reach others for Christ. He and his wife also host a house church service in their home and attend our church on Sundays. He definitely thinks outside the box. One thing he shared with us is waiters and waitresses think Christians are the worst tippers. I always think of that now when it comes time to leave a tip. I signed up for your blog Jessica. It's so great to learn more about you.